Your car’s Certificate of Entitlement (COE) is coming to an end soon and you have no idea how to scrap your car because of the complicated paperwork and processes. You might also be just too busy with work and family. Spend your time more meaningfully and let us handle the entire scrapping process from start to finish for you. All you need to do is just fill up the form below or give us a call and we will provide you with a no-obligation highest offer. If you like our offer, our friendly staff will take over the transaction and process the scrapping request. We also provide doorstep pickup service so even if your car is not in a drivable condition, we’ll take care of it. 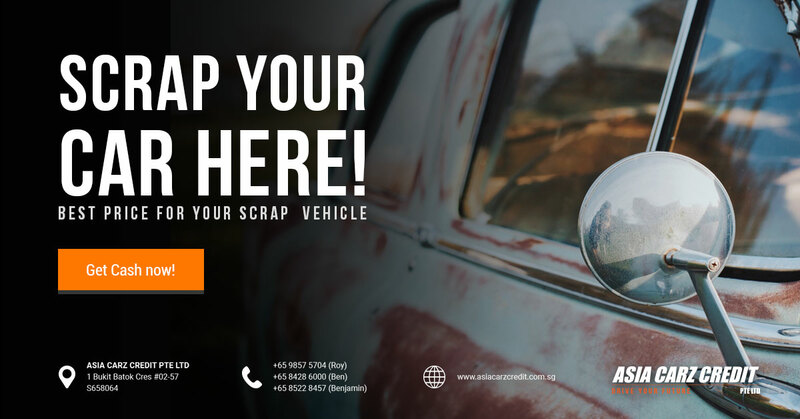 Start filling up the form and let us help you with the scrapping while you sit back and still enjoy the highest scrap value we can offer. If your car is still in great condition and you are considering to renew the COE, we also offer COE renewal loans. Otherwise, if your car is highly sought after overseas, we can also export your car for an even higher cashback value. Tip: We will need your ID details so we can retrieve details about your vehicle from LTA.